Misbehaviour Interview: "I’m Just Saying Yes To Anything That Comes My Way"
We chat with viral-video sensation DJ Misbehaviour in this exclusive interview where she shares how she started DJing and how she pursued her passion for sharing music. 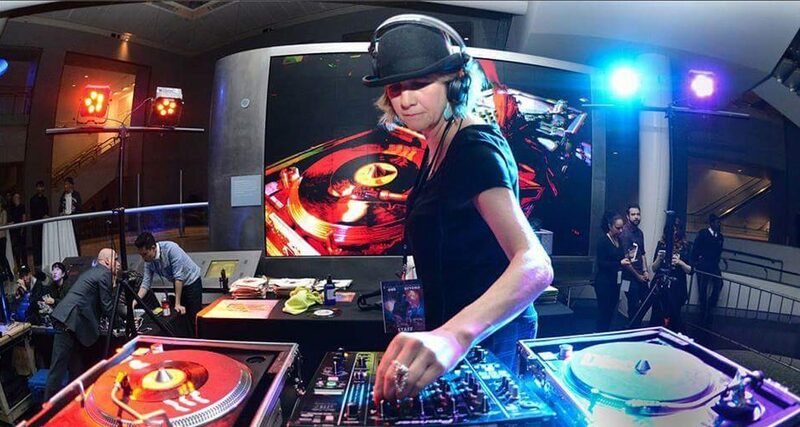 You may have seen already seen that viral video of a lady in a hat spinning hip-hop gems at an outdoor city party – that’s DJ Misbehaviour, and we got a chance to speak with her about her craft and career in this exclusive interview. Phil Morse: I am speaking to Misbehaviour over there in New York City. Hello, Misbehaviour. Misbehaviour: Hi, Phil. How are you? Phil Morse: I’m good. 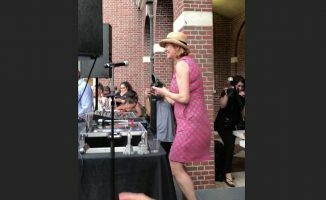 Of course, most people know you because they’ve seen this video of you doing your thing, DJing and playing some hip-hop at a party. It went absolutely mad: 21, 22 million views? Misbehaviour: 21 and a half million views. Phil Morse: For anyone who hasn’t seen what we’re talking about, we’ve linked to the video of Misbehaviour below, and it just really resonated with the world and went utterly viral. How’s it feel? How long ago was that video filmed? I was always getting support, I was really fed up with social media and thinking, “Ah, forget this”. I looked and it said something like three million and I was like, “wow” I can’t explain it honestly, I mean if someone said to me, “oh, look. This video got 20 million hits” I’d expect to see something really, really crazy; but I guess it just seemed to resonate. Phil Morse: I think it did because the camera person went to the faces of the people in the crowd as well and that immediately stamped authenticity on the whole thing. It was clearly a party everyone wanted to be at. Where was it at? Misbehaviour: I’m a part of a collective called Mobile Mondays. We party every Monday, for the most part, we only play 45s but it’s 100% vinyl and we get a lot of fringe summer events happening. This party was at the museum of the city of New York. Phil Morse: Why do you think the video resonated so much? What do you think it is about that short clip that has just got people’s curiosity? Misbehaviour: Well, I think maybe, for me, it’s not the most flattering clip that I’ve ever been in. I’ll be totally honest. If I’ve known 20 million people would’ve been viewing my video, I might’ve been in the spa all day; but maybe that was the point, because everything’s got so… perfect these days. Every image has to be perfect. We’re supposed to be perfect, especially women. We’re supposed to have perfect bodies for our whole lives and all this kind of thing that maybe it was a sort of “you could look like anything and do anything”. Also, the age thing. It’s like a lot of young people said: “Oh, I hope I’m still doing what you’re doing when I’m old.” I had to sit down and deal with that, but I realised it’s meant as a compliment to people my age. I think it was a whole lot of things, maybe it was just real and I was having a really good time and they were having a really good time. It wasn’t staged, and perhaps that’s what the public are wanting these days. Misbehaviour: Yes, I went on Hot 97 and I’m doing a party with zTrip and Pete Rock and Operator Emz at this club called Output. I’ve also been offered some TV appearances… who knows? I’m just saying yes to anything that comes my way. Phil Morse: That’s a good tip for any DJ. Misbehaviour: These things may never happen again, so why not just say yes? Phil Morse: I think you are. That’s something to be proud of, isn’t it? 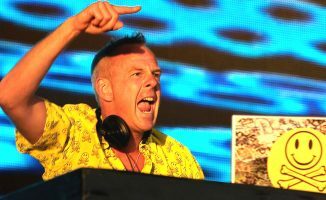 You’ve been DJing since 1989. Did you do anything else, or has DJing always been your full-time gig? Misbehaviour: I was teaching a little bit. I was a teacher out in Leeds and I did quite a few events at one point. I have my own sound system, so I’m completely self-contained in that respect and I do weddings and all that stuff. I don’t mind where I’m sent to play music, I just love moving people. Phil Morse: Spoken like a true DJ. I wrote a few things down to describe why I thought that video went viral: You’re clearly knowledgeable about the music you love and about what you want to do, so I wrote down passion. Phil Morse: Next is authenticity. It doesn’t matter what colour you are, how old or young you are, what gender you are. You’re clearly authentically into this music. Phil Morse: Naturalness also came across. It was lovely to see someone completely natural behind the decks, not even knowing they were being filmed, that came across. And also, humbleness – I want to talk about humbleness because a lot of people end up on a big, high horse when they are doing what they do. You appear to be the absolute opposite of that. Are DJs really humble people? Should it be a humble profession? Misbehaviour: I don’t know, I’ve met the most humble DJs, huge names. One of the residents at Mobile Mondays is Just Blaze and he’s the most humble guy. He’d come in and he plays 45s with us, he’s a huge name. I’ve met really, really awesome people, artists as well, and sometimes, they’re not cool if I’m going to be honest; but then, I don’t think it goes with necessary anything to do with how famous you get or how big you get. 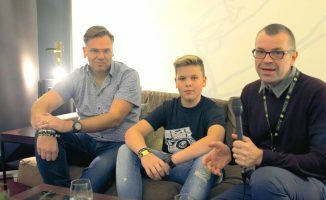 Phil Morse: Do you produce music? Have you ever made your own music? Misbehaviour: I did for a while. I hate to say it, but as you get older, being out four or five nights a week is really tough if you’re not getting to bed until 4am and then, you need to be on your game in the daytime because you want to get to another level. I used to do a lot of mashups and stuff like that, which almost turned into production because if you get them really good, you’re remixing. I don’t just play vinyl. I have a controller and I use Serato, so I’ll do edits for certain songs if I want to maybe make the break longer or whatever. Phil Morse: You’ve obviously forged your long career being passionate about the music you love, going to the city where it’s made, that takes guts. I think that’s the reason why this is such a great story, but in your view, why aren’t there more females in this game? Why is it a male-dominated game? Misbehaviour: Well, I think it’s a role model thing, too. When I first started, there was probably just five or six prominent female DJs in London. I think people identify with someone who’s like them. There weren’t so many clubs where you go and see another woman DJing and go “oh, I’ll do that”. If you don’t see a lot of people like you doing something, then you have to forge your own path. It just takes a bit longer. Phil Morse: Yeah, I think that’s what’s coming across, that you’ve had to forge your own path, not only for a couple of years, but for half a lifetime, to do what you want. We have about a quarter of a million people visit our website every month and I can tell you from our stats that only a small number of those people are female; but that’stens of thousands of women actively seeking out information about how to DJ. What can be done to encourage them? Phil Morse: DJ Perly, the DMC champion. I think if women talked to you, it’s really a responsibility to be encouraging to them and say “yeah, go for it”. More women do have to step up and forge their own path and be like “I can have anything I want”. My mum always taught me you can be anything you want, so I think if you keep that in your head, that’s a good motto. Phil Morse: You’ve played music you’re passionate about, you have your own co-promoter, I’m guessing, vinyl-only night. You do corporate stints, you’re the stuff that pulls the money in this role, doubling and producing. Is that the way to forge your career nowadays if you want to follow your dreams as a DJ/producer? Misbehaviour: Personally, I don’t think I manage my career that well. I was never a good networker. I’m the kind of person who would’ve benefitted from just saying “okay, I’m going to get a manager immediately”. I see younger people who have mapped out their path, like “I’m going to do this thing, I’m going to do that thing, this is going to take me here” and so on. Phil Morse: Sounds like you don’t want to be too hard on yourself, even if it stopped today, you’re going to have something to tell people for several decades to come, for certain.That said, I’m going to thank you very much for your time. Misbehaviour, thank you very much for taking time out today. Misbehaviour: Alright, thank you so much. 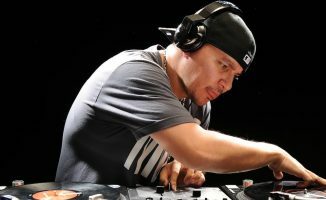 Mix Master Mike Interview: "You Got To Grab The Mic & Rough Them Up"
Phil! Having seen that video a few weeks ago I was so happy to see you interviewed Misbehaviour for DDJT! Great and inspiring conversation! Awesome stuff. Thanks for telling the story. Right, when can I get to NY? Finally got around to reading this interview- so nice of you to do this, Phil. Seeing female DJs doing well is encouraging for me.